A couple of people suggested that I blog about my late father, Edward Arthur Roberts (1930–2008). 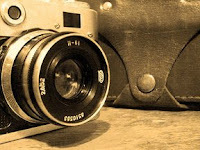 But how can one summarize a life in a short blog entry? I decided to do the Seven Facts Meme again (I cheated—there are eight facts below), this time about him. 1. 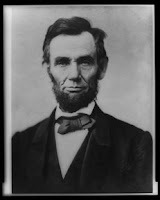 Abraham Lincoln was Dad's hero, and I think Dad would have been pleased that he died on Lincoln's 199th birthday. Dad read every book he could find on Lincoln and visited the Lincoln birthplace and other historical sites linked to Lincoln. He also visited every major Civil War battlefield and many of the minor sites. 2. Dad met my mother in second grade. They lived around the corner from each other. However, they did not start dating until after high school. 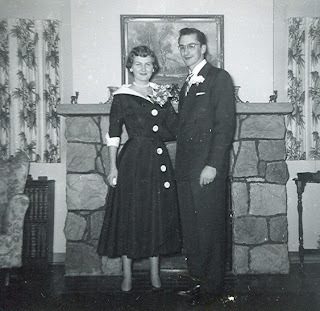 Dad’s father (a minister) married them in Mom’s parents’ living room (below left), and they were married for 48 years before my mother died in 2000. 3. In his youth, Dad traveled from Ohio to California and back by hitchhiking and riding the rails. When he got home, the only money left in his pocket was a nickel and a penny, which we still have today in one of his scrapbooks. 4. Dad ran track in high school and won many ribbons. 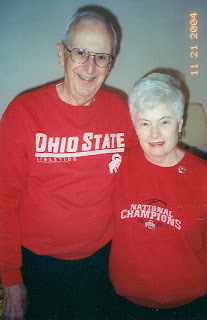 He later transferred his sports allegiance to the Ohio State University football team and converted his second wife, Eila, into a scarlet-and-grey–wearing Buckeyes fan. Even Eila’s miniature poodle, Cricket, had a Buckeye tee-shirt. 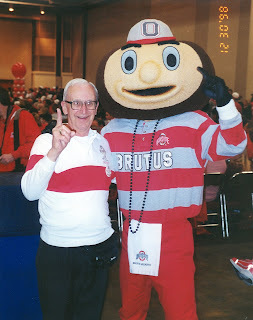 Dad was thrilled to be photographed with Brutus the Buckeye mascot when Ohio State played in the Sugar Bowl and displayed the picture (below at right) prominently. 5. Dad had determination, an independent spirit, a strong sense of honor, and a low threshold for being told what to do. After dropping out of college, he worked as a reporter for the Dayton Daily News briefly, but then became a cab driver. He thought driving a cab was a wonderful job because he was his own boss, but Mom thought it too dangerous and Grandpa thought it unsuitable for a minister’s son. 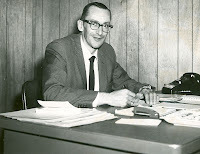 Dad switched to selling insurance and did that for more than forty years, winning many awards. He loved being self-employed and got up each morning eager to go to work. (That caused me a rude awakening when I got my first job: I quickly discovered that if you’re not self-employed, going to work is something you dread.) He impressed his business ethics on all of us kids: Work hard, tell the truth, deal honestly with your clients and suppliers, be loyal, and keep your promises. These principles have served me well in running my own business. 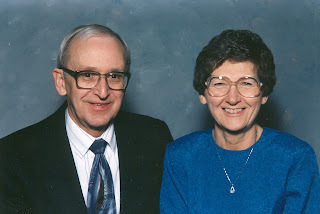 After he retired, Dad wanted to do volunteer work but did not want a boss hovering over him, so he took courier positions, driving mail and supplies around for various organizations. 6. 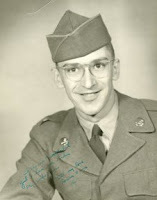 When he was drafted into the Army, Dad was appointed Company Clerk because he was the only one in his unit who knew how to type. He was not cut out for Army life, with its arbitrary and illogical rules and regulations and orders—and had two court martials* to prove it. Despite those experiences, he was proud to have served his country and was patriotic to the point of refusing to buy a foreign car. 7. While stationed in Germany, Dad took up photography as a hobby. He told me that all the other soldier s went out drinking or chasing girls. He didn’t drink, so he wasn’t interested in bars. He was married, so he couldn’t chase girls. To fill his time, he started taking pictures. From that point on, he documented his family and the places they visited, filling a tall pile of slide boxes and more than 40 photo albums by his death. 8. Dad was known for his sense of humor and ready laugh. Over and over again, at the viewing, at the funeral, and in sympathy cards, people told me how he brightened their day with his jokes and smiles. I invite others to continue this meme. 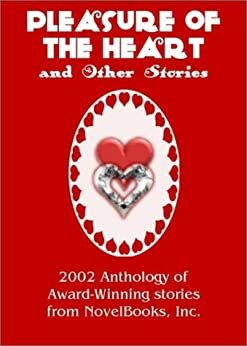 I would love to read about your own lost loved ones and what made them special. My father died this afternoon. No blog post this week and probably none next week. 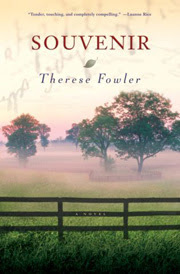 Therese Fowler's women's fiction novel Souvenir made its debut in the United Kingdom in July and finally reaches our shores on February 12. Souvenir is a story of love and loss, heartbreak and fulfillment, lies and truths, and duty and sacrifice as they play out in the life of Meg Powell at age 21 and again at age 38. 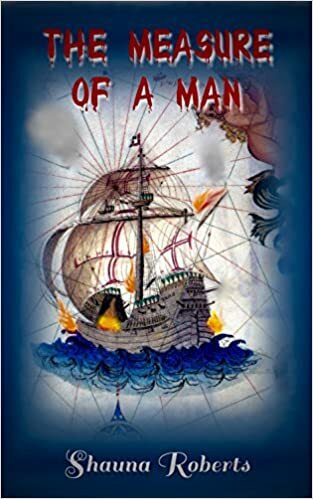 Therese, thank you for visiting my blog, and congratulations on the publication of your first novel. Thank you, Shauna. It's my pleasure. Meg faces difficult ethical challenges in Souvenir. Several times she must choose between her own needs and those of the people she loves most. Long after I finished the book, I was still debating whether she had made the right decisions, particularly at the end of the book. Do you believe the choices Meg made at the end were the correct and moral ones, or do you yourself have doubts? First, let's think about how we determine "correct and moral." Is the standard personal? Is it based on religious and/or cultural beliefs? I'm a natural-born skeptic, which means I see the world not in black-and-white terms, but in shades of gray. Objectively speaking, there are very few moral absolutes. I believe that, all things considered—and I want to really stress that expression—Meg's choices toward the end of the story are right. She struggles with the questions of what's right and for whom, weighs the matters with compassion and consideration for the circumstances, and strives for the closest thing to a win-win scenario as she can get. Other people dealing with Meg's dilemmas would choose differently, which may well be appropriate for them and their circumstances. I think this is what Souvenir argues: There ARE rights and wrongs, but what they are and how we determine them—and adhere to them—is complicated and difficult. Some people prefer to accept and follow what others deem correct. Others are uncomfortable doing so and believe it's our duty to question the status quo. I'm one of the latter. If at age 21, Meg had put her own needs first and married her first love, do you think it would have worked out? I think the success of young love is always a crapshoot. It's very difficult to gauge long-term compatibility at that age (as I know too well, having married the first time at age 18). Still, I believe their affection and connection was true; if they survived the initial few tough years, they'd have had a good chance of a happy and enduring relationship. As a mother, wife, and daughter yourself, do you find it difficult to juggle your needs—including writing—with your other obligations? "Juggle" is right! Yes, it's challenging. I'm a bit of a perfectionist, which means I want to be a good spouse and a good mom and a good daughter/daughter-in-law and a good writer all at the same time. However, I'm also very practical and I know that trying to do it all at once pretty much means failing at everything. So I prioritize: My kids' needs always come first, and the rest gets managed on a case-by-case basis. Why does it seem there's never time to go to the gym? My mother died in 2000, and nearly all the fiction I have written since deals in some way with her death. How did your mother's death influence the writing of Souvenir, and does it shape the book you are writing now as well? I'm so sorry for your loss. It's hard to be prematurely motherless, and changes the way the world feels—which of course influences everything, don't you think? I started to see a change in my writing when my mother's cancer was diagnosed and then, about two months later, my father-in-law's. His was known right away to be terminal, and it was the way he handled his prognosis that first affected me. He accepted the truth with dignity, which I admired, but he didn't open up about anything, nor did he invite what I'd consider meaningful discussions. Similarly, even when my mother's condition was judged terminal, she never opened up and never invited intimate discussion of either past or future, limited as it was sure to be. This made me wonder what I would do if I knew my time was nearly up. 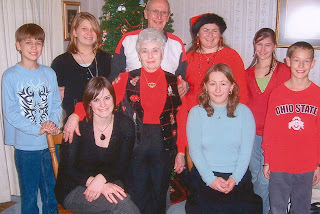 My mother's death, most likely from a pulmonary embolism, was unexpected; her cancer prognosis had given her one to two years, and so it's possible she might have been planning to find a way to discuss some of the enduring issues in her life and mine. I'll never know, because while I'd hoped to find some kind of diary in her belongings, there was none. It was terribly disappointing, if not surprising. How comforting it would have been to have more than photos and recollections to remember her by—which is not to discount those. It's just that, in these scenarios, there's so much more power in words. That power of left-behind words is the core of Souvenir. It's through Meg's mother's diaries that Meg starts to come to terms with the mistakes of her past—hers and her parents'. So I suppose that in some ways the story is a kind of personal wish-fulfillment for me. My just-completed novel has shades of the mother-daughter communication barriers as well. In one sense I'm dealing with the relationship dynamics I had with my mother—things I never admitted, things she never asked or told—but it's also a look at universal mother-daughter dynamics and the ways our personalities influence how well, or how poorly, we bond. How do you think the mother-daughter bond differs from every other human relationship? At some point women begin to recognize how inescapably similar they are to their mothers—even when they believe themselves to be as different as, say, kittens and oak trees. Our mothers own a part of us in a way that our fathers rarely do, perhaps because women know women in ways men never can. When you add to that the parent-child shared history and the shared genes, you get a unique bond. Not always a healthy or positive one, but certainly unique. What was your favorite part of writing Souvenir? Days when I felt like more of a medium than a creator—when it seemed that the story flowed right out of my fingertips and I was living it with the characters as the words appeared on my computer screen. That continues to be the joy of writing, for me. It's incredibly addicting and makes me impatient to get back to writing when I'm between projects. When I commit to a new story idea, I spend a lot of time in what I call pre-writing: journaling ideas and thoughts to help me find the heart of the story and to help determine where to start. I work a lot with point of view and structure, inevitably writing scores or even hundreds of pages that get discarded—but that's my process for finding the story. 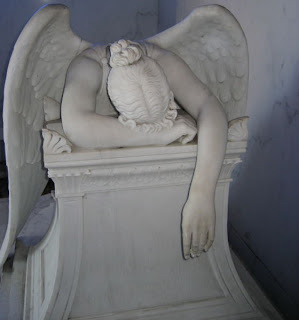 Once I feel like I've found it, I can then turn out a solid first draft in about five months. I'm at my desk for several hours every weekday, striving to reach 2000 words. It's a goal that, even when I don't achieve it, keeps me focused on forward progress. I write full-time now, but when I was in grad school and working part-time, I had to fit my writing into the leftover time spaces. More by luck than by effort I'm a fast writer (relatively speaking), which helped me make the most of whatever writing time I had. My main recommendation is that: Make the most of your writing time. Try to do the mental preparation when you're involved in other activities like housework or commuting, so that when you do have time to write, you're ready. Do you have any advice for people writing their first novel? First, be aware of the marketplace, but follow your own vision. Each of us is different and each of us has a different way to tell a story—that's the joy of books and reading! Second, cut "writer's block" from your vocabulary. Blockage is simply under-preparedness. If you're trying to write and you get stuck, try this exercise: On a fresh page or in a new document, write to yourself about the story you're trying to tell. Almost without fail new ideas, solutions, and/or directions will occur to you. Getting stuck is just part of the process; if we recognize it as such, it loses its ability to throw us into a tailspin of despair. Third, finish the story even if you know it isn't quite right. Incomplete novels don't get published! It's always easier to review/revise a story once it has been written start to finish. One caveat: It's okay to abandon something that you are absolutely certain isn't working or that no longer keeps your interest—but ideally that won't happen much, if at all, if you first spend some time considering a story idea before writing very much of it. Is your next book also women's fiction? What is it about? Yes, my next book, which I recently turned in to my editor, is also women's fiction. On its most basic level, it's the story of a popular TV talk show host who gets a second chance with an old flame, only to find herself falling for his son, who's nine years her junior. As with Souvenir, the new novel takes what are familiar story elements and puts them to use in a multilayered drama about family and relationships and the naïveté of youth. You'll see another look at questionable decisions made for what the characters believe are honorable reasons—because really, to me the most interesting stories become personal, inviting us to consider what we believe is right and wrong. Like Souvenir, it's a story of redemption and healing. The title (at least for now) is What She Should Have Known. I'd be glad to hear opinions about whether or not it's a compelling title, and why. Thank you again for visiting my blog to talk about your books. I'm very glad to do it. Thank you. Therese will be posting responses to comments on Wednesday, February 6. 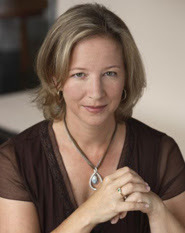 Therese Fowler's Website is at http://www.theresefowler.com/, and her blog is at http://theresefowler.blogspot.com/. Her book Souvenir is available at all major bookstores and can be ordered online from Amazon.com and Barnes & Noble. It is also available, or forthcoming, in ten foreign languages and fourteen countries worldwide.